Protesters collect near the NASA launchpad that will eventually send Neil Armstrong and Buzz Aldrin to walk on the moon; a poet asks why money isn’t available for the poor, yet white men land on the moon. At a White House dinner, a Congressman worries more about taxpayer constituents than mankind’s achievement. 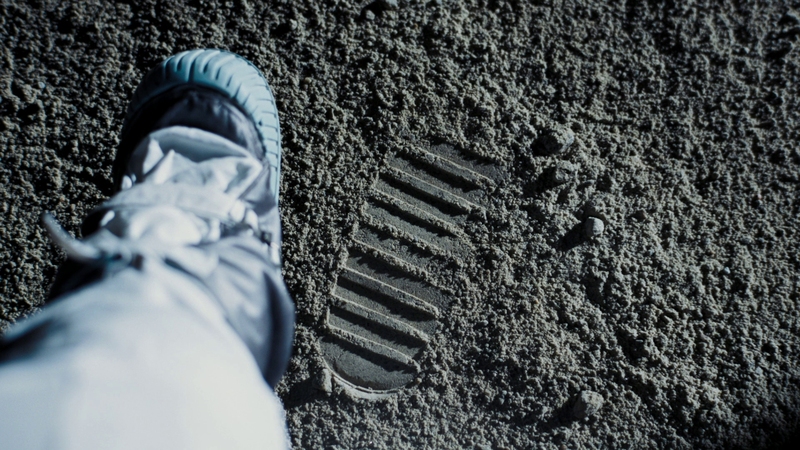 First Man is full of inspiring, monumental moments; Armstrong’s answer is First Man’s as its most direct. “See things,” he says. 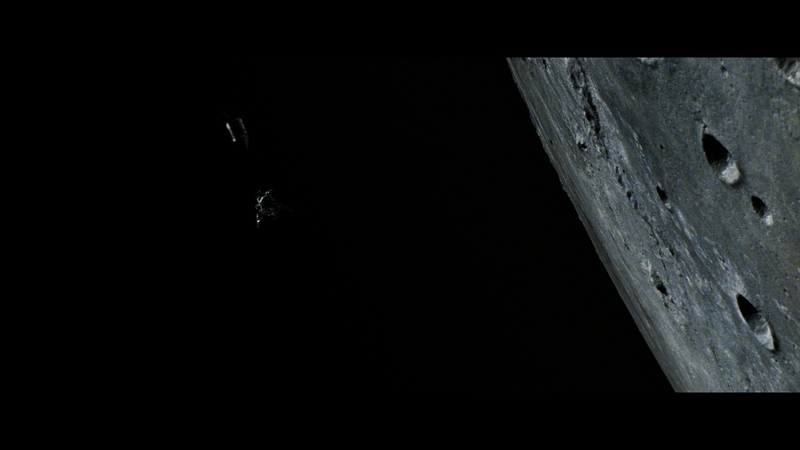 Landing on the moon became about perspective, seeing Earth as a floating dot among black – an image First Man holds with minutes to go before the final credits. The money, the lives, the strain, the stress; all of that coalesced into a journey for a whole. Not building walls between people, not such petty things, but something that changed the globe in entirety. First Man shows as such through catalog interviews with French and Asian citizens, all celebratory and excited by the possibilities. 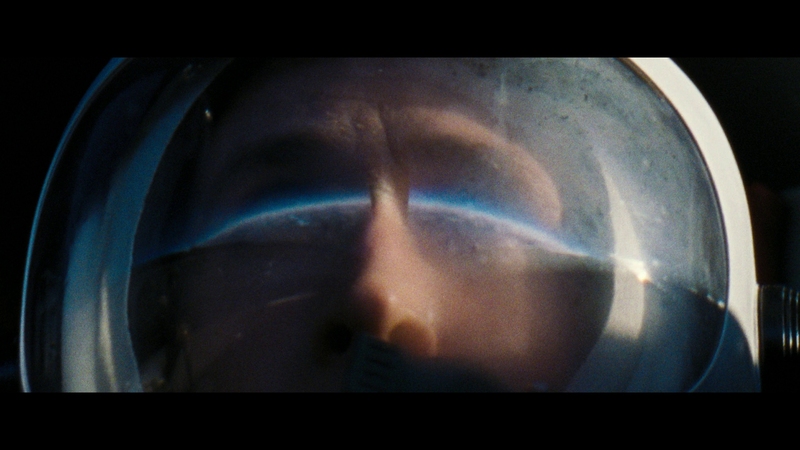 For most of First Man, it’s first-person. It’s Armstrong, a quietly pressured and in denial astronaut selected to step foot on another chunk of rock other than our home. 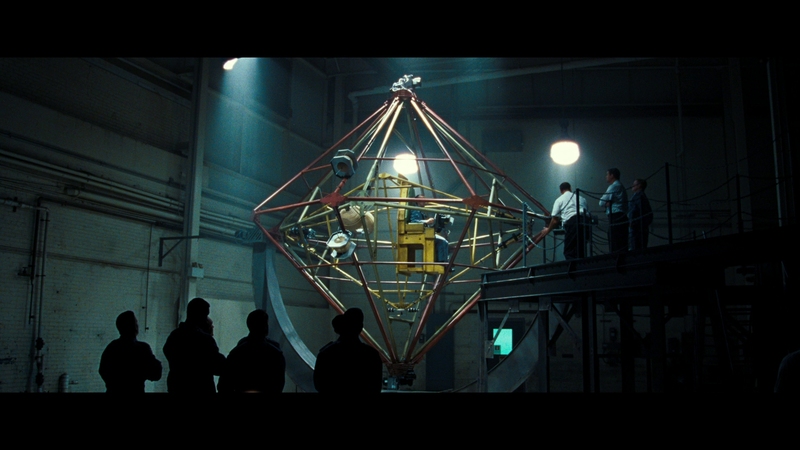 Cinematography uses unnerving, striking POV angles, seeing what Armstrong did. He sees Earth’s atmosphere disappear from a rocket’s cockpit. So too does the audience. He stares down an unfathomably complicated control panel when entering these machines. So too does the audience. Performed with remarkable, dramatic authenticity, the blending of purposefully dirty 16mm film gives the aesthetic of a ’60s home movie. 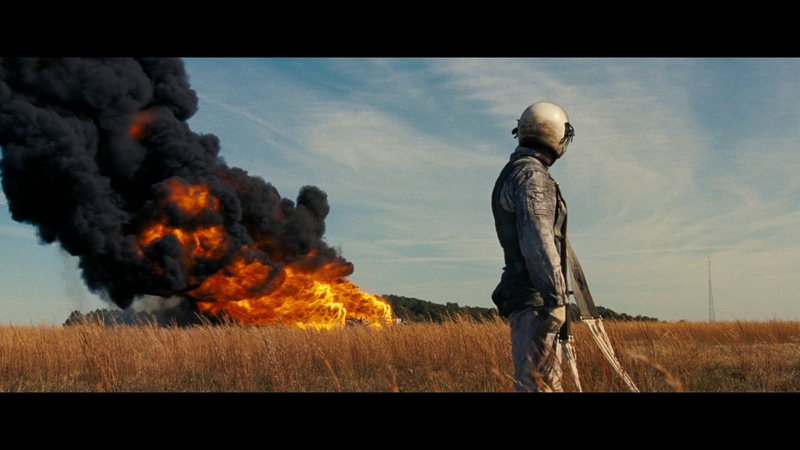 Gut-wrenching scenes, including Ed White (Jason Clarke) and his co-pilots perishing during a test, bloom with diffused light. 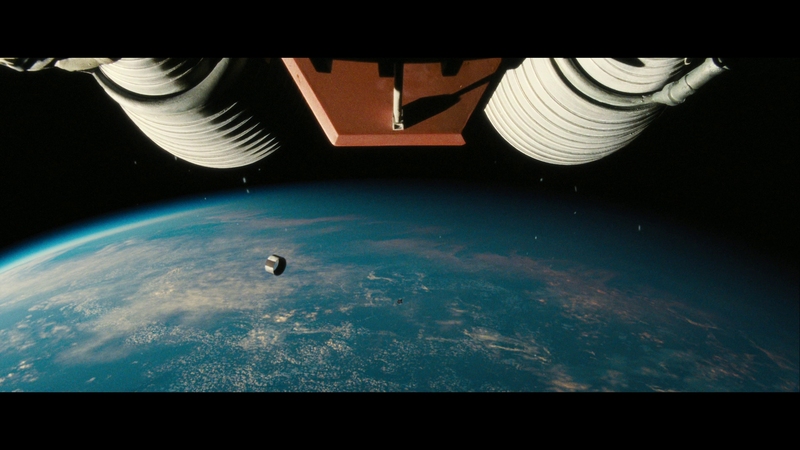 Then, the iconic moment as Armstrong opens the capsule to ascend the ladder, shot with the full force of IMAX. 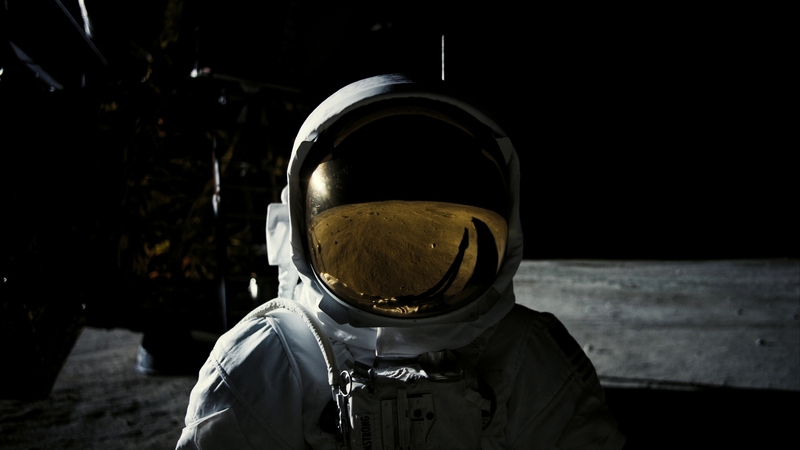 First Man makes its point through cinematography alone. It doesn’t need words, and Armstrong uses few of them. This isn’t the first or last moon landing movie. For now, it’s the sharpest though, certainly the smartest. First Man compacts these daredevils into suburban heroes – the side lost to popular history because of their conquest. Armstrong, through a sensational Gosling performance, keeps going because he feels he lost everything when his youngest died of a tumor. He’s suicidal, the type of personality that allows oneself to sit on tons of fuel, lit ablaze to defy gravity into an unknown. 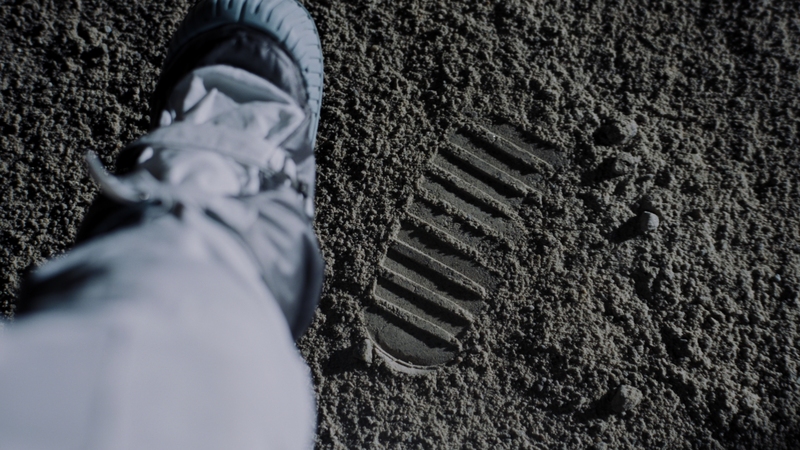 Despite a singular focus, in those last moments on the moon’s surface, seeing Earth from afar, it’s clear that what Armstrong (and the entire NASA team) did. A nonsense controversy prior to release saw First Man chastised for its lack of American flags. To be clear, it has flags. Many flags, even. But Armstrong changed that day, according to First Man. As of that moment, the world didn’t have flags, artificial division, or walls. Seeing that from behind Armstrong’s visor is awe-inspiring. 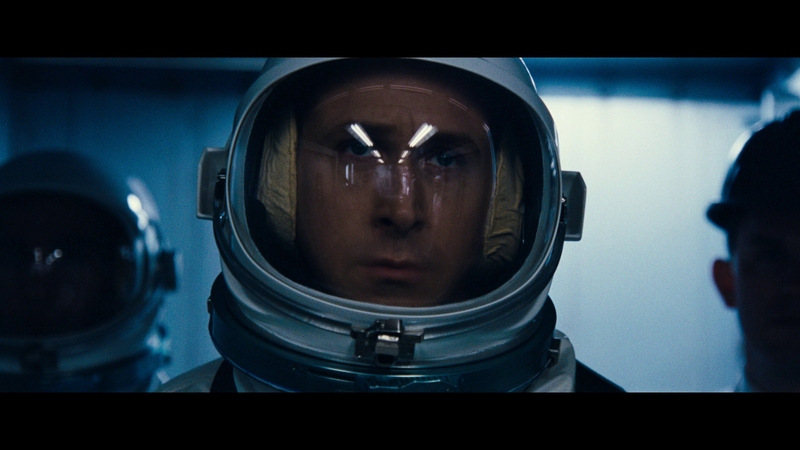 Three types of film stocks make up First Man. 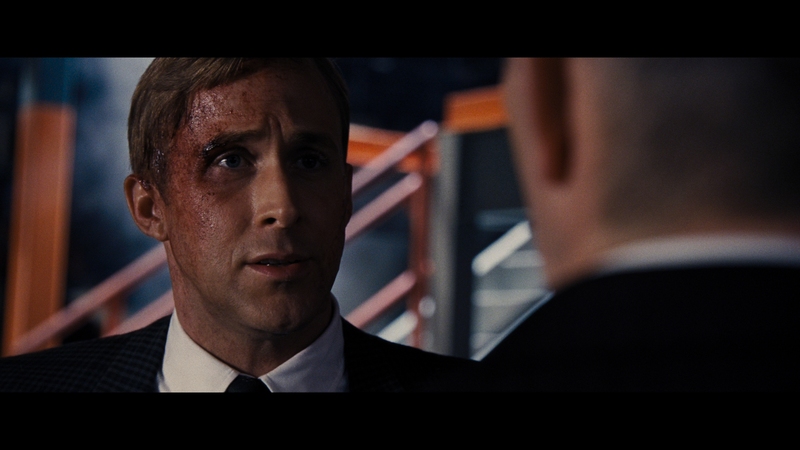 Most of the footage comes from an authentic 16mm stock. Super35 comes in later. 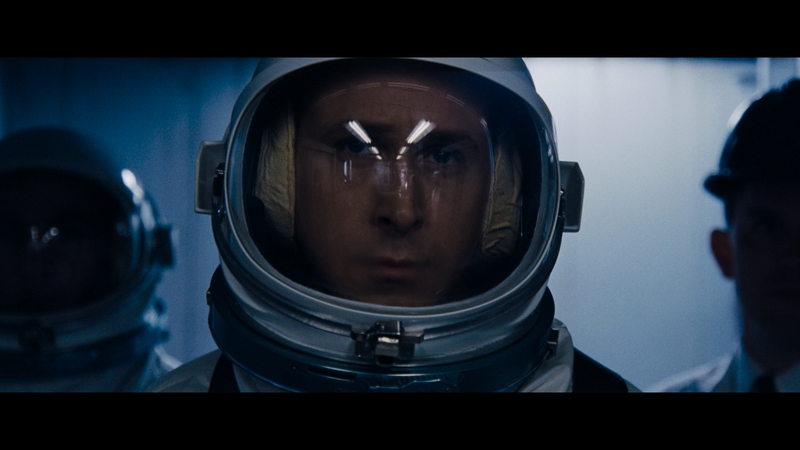 Finally, the moon landing itself uses the marvel of IMAX 65mm. Note the 2K finish for all of this. The key benefit to the UHD presentation is working through the heavy but gorgeous grain structure. First Man features plenty of grit. Universal’s encode contains it all, never losing its grip to accurately replicate film stock. In the hunt for a believable look, small specks of dirt and a stray hair or two run through the image. Additional elements such as light flares, blooming, and minor crush come into play. The Dolby Vision pass loves these chances. Lights shine, and when reflecting intensely onto characters, those highlights glow. Fireballs extending from the rockets push intensity further, and when the sun hits the gray surface of the moon, it’s a blinding effect when against the pure black of space. While resolution isn’t as potent as a true 4K source, detail holds together. Facial definition sticks out when in close, while the texture of shag carpeting cannot be missed. Dials inside the various cockpits contain legible labeling. 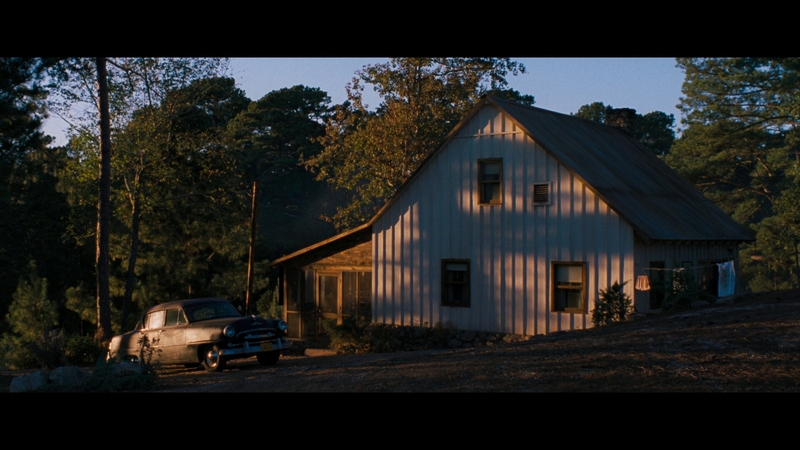 Exteriors show superb sharpness when not diffused by the cinematography. Expect bold, rich color too with a tinge of warmth. Blue NASA logos stick out, and greenery on Earth rarely comes any better. 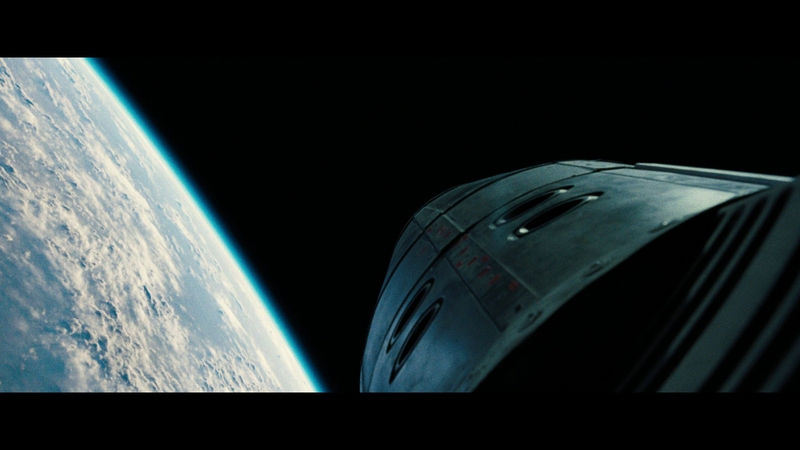 In terms of the IMAX images comprising some 10 minutes near the end, that’s marvelous. 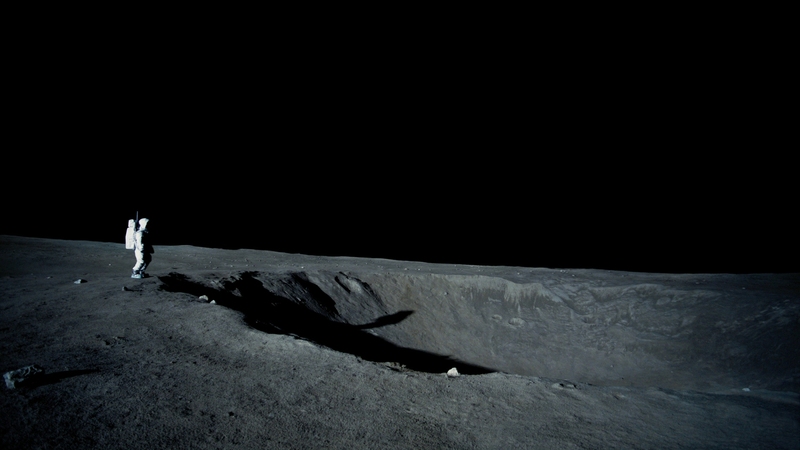 Armstrong first looks down at the moon’s surface noting the gritty quality. That’s observed thanks to the clarity. A visible uptick in sharpness is timed to make the first images of the surface a spectacle, dynamic enough to draw comparison to Dorothy opening the door to step into Oz. Grain evaporates almost entirely, leaving absolute clarity. The challenge at 1080p is in keeping the grain structure true to form. Mostly, that’s handled. With near certainty, this was not likely an easy compression gig. Some brighter colors give the encode a fit, buzzing a bit and muddying detail. This isn’t severe, but something to note. 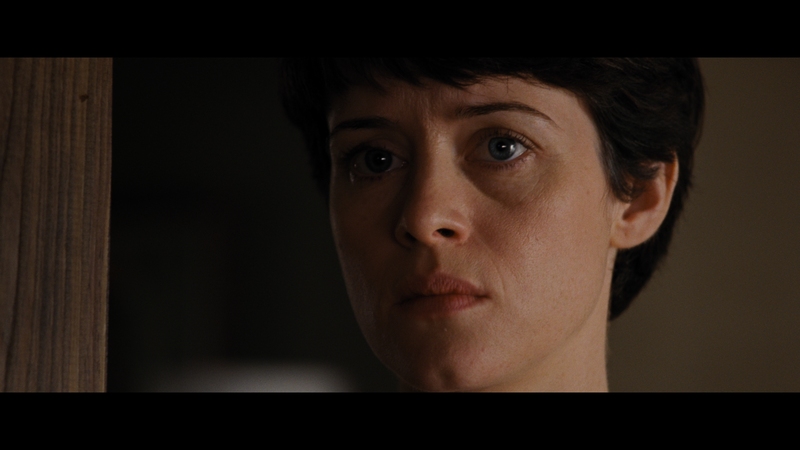 Black crush also drops in, brutal when Claire Foy sits in the back of a car at night. She’s little more than a bouncing head. By comparison, on UHD, it’s just possible to make out her body in the limited light. A lot of this comes from jumping back-and-forth for the sake of review. Average viewers won’t be this picky. 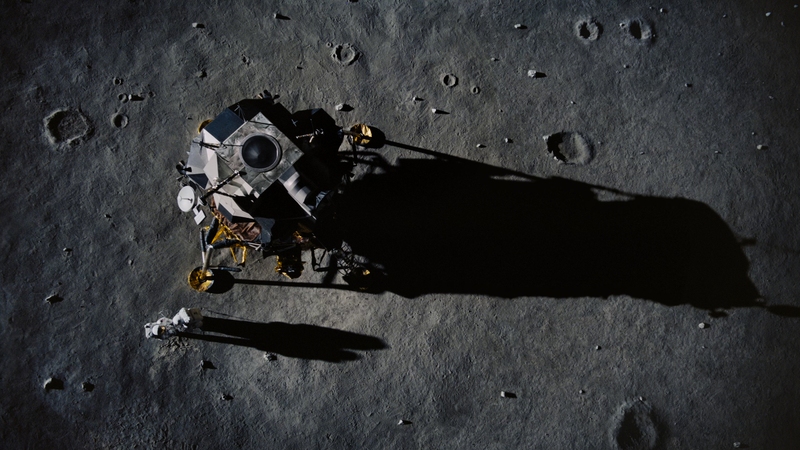 First Man still delivers a convincing presentation at 1080p. The 16mm images keep the nuance of this heavy film stock. Prepare your subwoofer. Comfort it. Hug it. Give it a new surge protector. Do what you need to in order to help make this rumble-fest reach its peak. First Man is a monster. Armstong’s first ascension into the atmosphere pushes the full potential of LFE material at home. But, room shaking later proves there’s more in the tank. 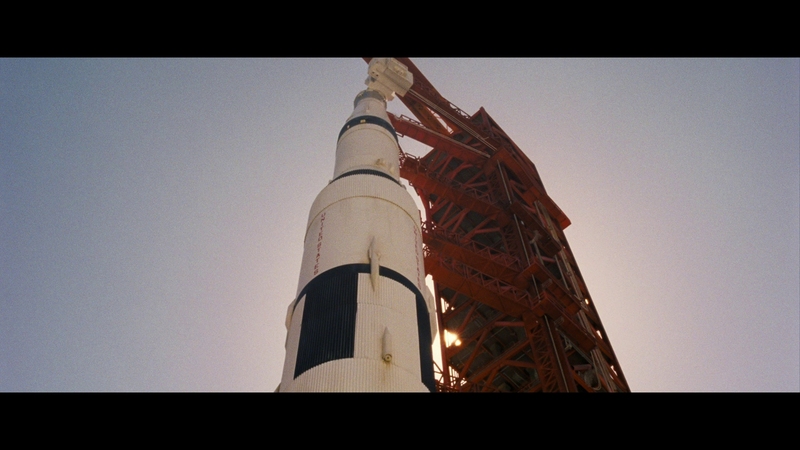 The actual Apollo 11 launch is enough to crack a foundation (probably not, but still). 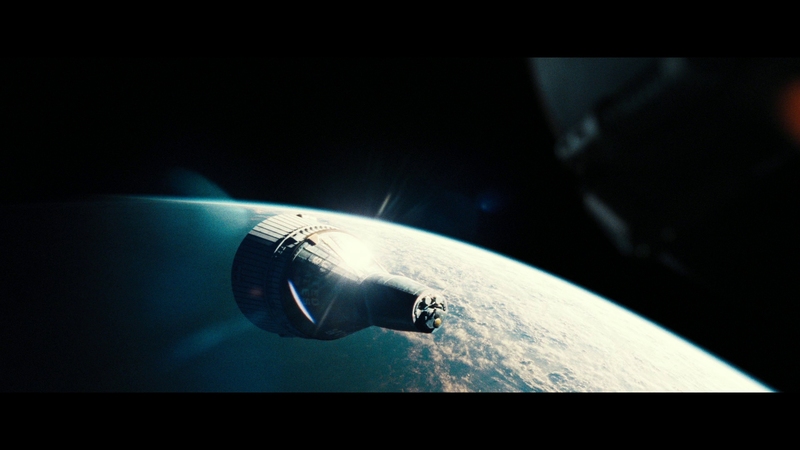 First Man’s sound design uses this to enhance scale and power. It works. Don’t forget the positional channels. With Armstrong in the pilot’s seat, metal churns and bends, with screws barely keeping the sheets of steel together. All of that creaking moves around the soundfield, drenching the soundstage in audible cues. First Man’s design is to put listeners in a certain place at a certain time. Audio matters, so when the hatch is sealed, locking astronauts in place, it’s felt. What a downer. Universal includes eight short featurettes, no more than a few minutes each. While they have some production value, these EPK duds offer limited insight into the filmmaking process. The same goes for two deleted scenes. 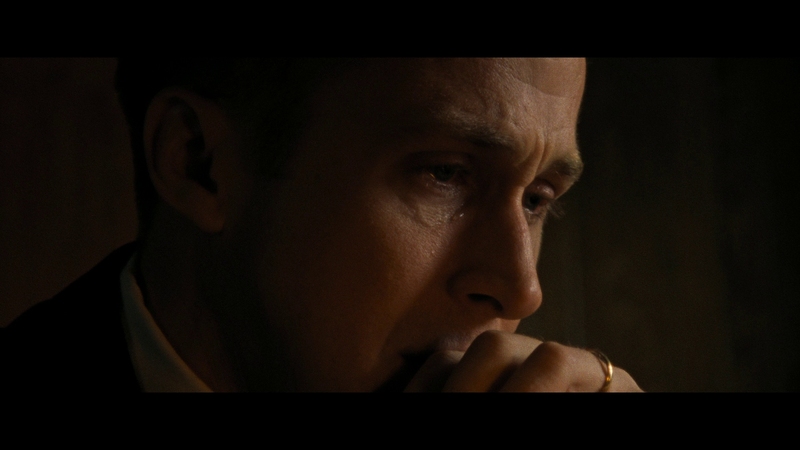 For the deepest material, turn on director Damien Chazelle’s commentary. He’s joined by writer Josh Singer and editor Tom Ross. The 15 unaltered images below represent the Blu-ray. 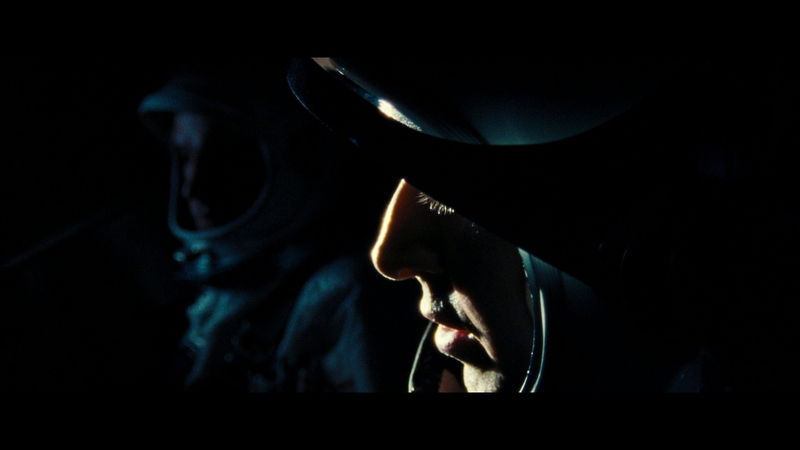 For an additional six First Man Blu-ray screenshots, early access to all screens (plus the 20,000+ already in our library), 60+ exclusive 4K UHD reviews, and more, support us on Patreon.